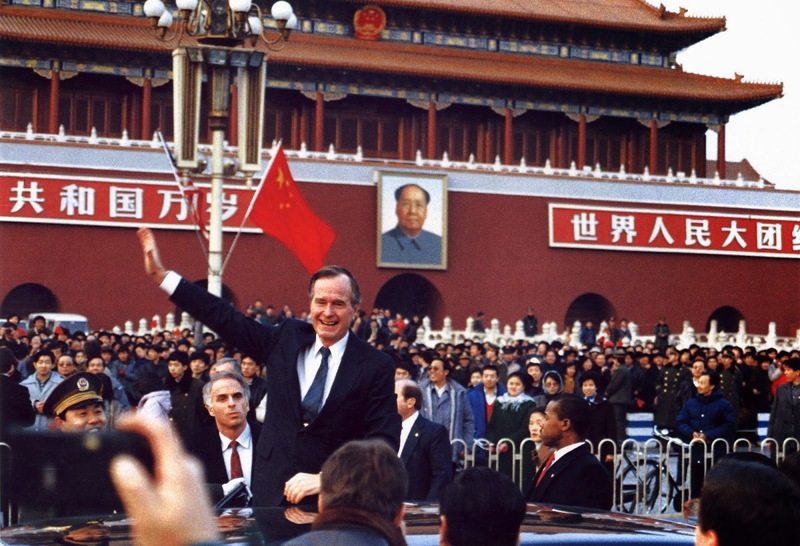 On February 25, 1989, American President George H. W. Bush, who had been in office for barely a month, arrived in Beijing for a working visit of China. In the late 1970s, Bush had served as the official envoy to China, establishing the liaison office that eventually became the official embassy. He and his wife enjoyed riding bicycles on Beijing streets and acquired substantial knowledge of Chinese society. He also boosted personal relationship with Chinese leader Deng Xiaoping. More than twenty years later, President Obama attempted his own version of "pivot to Asia."